Women and girls in grassroots football value enjoyment and development as much as they do winning. That was the message from Club Website members on International Women's Day. To mark this year's event, celebrated on 8 March, we asked everyone involved in women's and girls' football to tell us the best thing about the game at grassroots level. The feedback on our Facebook and Twitter pages carried a number of familiar themes: enjoyment, dedication, good behaviour and development over winning. Check out a few of the highlights of the debate and then tell us what you think. Women's & Girls' football - what you said! Guy Scott: "I coach at Garston Ladies and they are a fantastic team to be with - the girls listen and parents lead the way for behaviour!" Matthew Smitten: "Unlike the lads the girls won't dive and roll around on the floor like them over paid primadonnas." Wayne Jeremiah: "I've been coach @ Mardy Tigers F.C. in Abergavenny 9 years and the boys should take a hard look at how the girls behave on the field. It's been an honour to be involved in the female game and long may it continue." Zoe Jessey: "I have been playing football for 7 years now and its better to watch women than males football because we don't really argue as much with the ref and less swearing." Phil Cross: "I coach two girls teams for Bedlington Juniors FC at U12 and U14 in the Northumberland Girls Football League and this is my 6th season in girls footy having coached lads previously. Agree with Guy, girls listen as they don't think they know it all. Keep growing the girls game..."
Jayne Woodhead: "My daughter plays for Steel City Wanderers girls, and she absolutely loves it....and I love her playing, as it keeps her nice and fit. Would love to think we had a future England star as well!!! ;)"
Laura Allen: "Women's football: More about the game, less about the money!!!" Donna MacDonald: "My daughter plays for Falkirk U11s, has done for 5 years now,she loves it too and keeps her fit. I love watching the games every Saturday, especially when they beat the boys as the boys seem to think girls can't play. Me too would like to think I have future England/Scotland star as she could play for either.x"
Dave Urquhart: "Used to be involved until recently with Aberdeen FC Ladies. The biggest problem was(is) some of the neanderthal men who were quite happy to criticise the women's game without even seeing it then come out with the same old tired comments about needing help with physio or in the showers etc. Thankfully it was well countered by the positive comments from any men or boys team the women played against in friendlies and discovered how committed and physical some of them could be! For all those still involved keep up the great work." Carol Dossiter: "Manage Santiago Colts U13s we are based in Birmingham we are into our 3rd season and loving it we love watching our B'ham City Ladies too. Girls will work at techniques until perfect." Andrew Macdonald: "Girls over boys in terms of technique development. I have coached girls from 5 to 17 and girls naturally pick it up quicker. I coach Elgin City 15s Girls and my dream is to see more girls teams producing players for Scotland women to compete at the highest level. ps development over winning in girls football." Helen WH Carver: "I run a ladies team in Birmingham...definetely more strops and moods!!! but full of passion and genuine love of the game, wouldnt swop it for men's football for love or money!!! www.clubwebsite.co.uk/wmpladiesfc." Kingspark JFC (@KPJFC): "I coach girls - has to be attitude. Boy it's win at all costs girls have fun playing but still just as competitive!" Simon O'Neill (@sioneill10): "Complete dedication. Players travel from Leeds to London to train and play 3 times a week happens at every FAWSL team. I was at Chelsea, moved on now but really enjoyed it. Great people great players." To join in the Club Website debate, come and join us on Facebook and Twitter. Want to add your 2p worth? Of course you can! 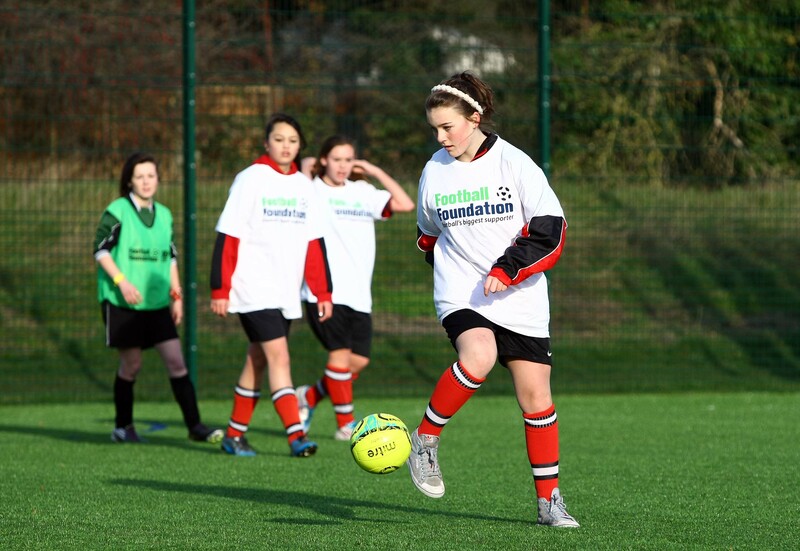 What do you think about women's and girls' football at grassroots level? 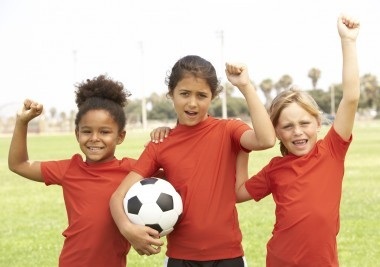 Do you agree that there's a greater emphasis on enjoyment and development than in the men's or boys' game? Tell us what you think in the comments section below.